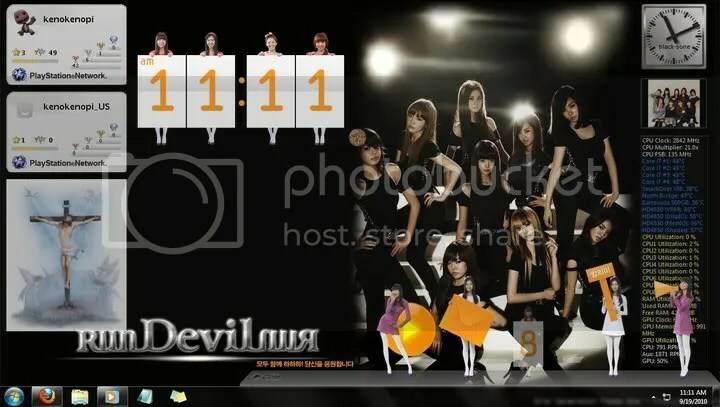 This is Girls’ Generation HaHaHa Widget. The downside is that, it would be better if you’re operating system, say, Windows 7, is set into korean language so you can fully use the reminder widget. Too bad, I’m not korean, I’m just a guy who loves and envies the hallyu wave. If you notice, this post has been revised and updated. I have reviewed my “not-so-good” words and made them simpler. By the way, if you want to download the file, just follow my instructions below and don’t hesitate to ask. Also, don’t forget to leave a comment. Compatibility Note: The widget app is compatible with Windows Vista 32/64-bit and Windows 7 32/64-bit. Right now I’m using Windows 7 Ultimate 64-bit. 1. Download the file from SendSpace. The file is named “install_premium.rar”. 2. If You’re unsure, scan the file with your favorite anti-virus. 3. Unzip the file. It’s a .rar file so use WinRaR. 4. Locate and run the file “install_premium.exe”. It will download the files needed (approx. 106MB, so pause your downloads first and quit your facebook games). 6. Once the installation is finished, the Widget will run by itself, and run everytime you start windows. Tip: To disable it from startup, press “Windows Key + R” or simply “Run” command. type in “msconfig” then click the “Startup” tab. In the Startup tab, you’ll see an entry named “hahaha”, uncheck it. Then press Ok/Apply. That should do it. xtunix told me that the installer doesn’t work anymore, or that the installer doesn’t download the required components to make it work. So, to his suggestion, I decided to upload the installed-already .rar files… However, I’m not really sure if the SendSpace installer doesn’t really work anymore since I haven’t tried it myself. If you want, you can still download it at your own risk. -Locate “hahaha.rar.001” and click open (Don’t bother locating “hahaha.rar.002”, HJSplit automatically finds it for you if you really put both files together inside a single folder). -Once you’re there, you will notice a new file named “hahaha.rar”. This is the file I have installed and backed-up. Open it using WinRaR, and extract it inside the same folder. -Once done, navigate to the new file and run the “hahaha.exe” file. Posted on May 26, 2009, in K-Pop, The Music and tagged 4shared, clock, clock widget, dance widget, gadgets, girls' generation widgets, GUI widget, hahaha, hahaha campaign, hahaha new, HJsplit, hotfile, LG, mediafire, megaupload, mf, samsung hahaha, sendspace, sidebar vista, snsd, snsd download, snsd gadget, snsd gadgets, snsd gee, snsd mods, snsd vista, snsd widget, snsd widgets, snsd xp, widget, widgets, windows, windows 7, winrar, x64. Bookmark the permalink. 118 Comments. heh dude i have been waiting for 12 hours ady and the setup stucks at 0%. any idea? whats your system btw? running xp or vista or what? woah… im not sure… and if thats true, then it’s sad… i wont be able to reinstall it again once i reformat my drive… are you sure about that mister? try installing it again while browsing the net… mine worked like that… i think it took mo like 1 hour something? umm do you actually still have the widget with you ? Can you re-upload the file into .rar format in this webpage? Don’t mind trouble you. I shall keep touch with this page. Don’t mind reupload your part 002 .rar file. It’s corrupted. I’ve downloaded twice, still the same results. Is there a way to upload the whole file instead of separating into 2 parts? heh dude, i used the hjsplit; combined them and it seems hahaha2.rar is corrupted. have you done it? did it worked??? me? from malaysia – malacca in specific ^^ yeah man ty so much . I haven been searching for this widget for quite some time ady ^^ lolz no prob. Anyway, could u change this widget’s set of language? im not so sure but, isn’t the smtwon will go there? i guess… just suju… anyway, it’s easy to learn basic korean language if you watch a lot of their broadcasts… you have an account in soshified??? lolz really ? it seems complicated with everything but i think i will check up on it. Ty for info by the way. XD lolz no prob dude ^^ my pleasure ~kam sam nida for the widget once more~ hwaiting~! I got help from reading the comments and your information. But ive got a lil problem. and just didnt use the 002 is that a problem? Also i want to use my email from that widget but it gives an error? Hwa-keen Oppa, i think… well thanks for dropping by… are you a new fan or what? tol.. napuputol ung sa 4shared mu n link.. pde ba pa reupload sa mediafire? thanks!! sna makuha ko na to.. tgal ko na hinahanap eh. thanks ulit..
SNSD also pop in Taiwan, thanks for your share. Thanks for sharing the link to the widgets. It’s still working!! hi~wat da name that u used in soshified? hey thanks a lot! btw you have a very nice desktop wallpaper. where did you find it? can you send it to me via mail? so wat do u do after u join both files? when i try to open it up, it say windows need to know what im going to open it up with. what do i open it up with? after that, click join… explore to the folder… you’ll see a .rar file… open it with winrar and extract it to any folder. locate the extracted folder then run the .exe file… easy! after 1 year from 1st release i can use it now! a lot of thanks for uploading the final exe so i can install it!! hey…mine is stuckk…0%….i’m using window 7….any idea? okay~ i installed it last night…..but how to run everytime i start windows??? ^ did you download the one I uploaded in 4Shared? i waited for a very long time but the step 3, the downloading part, its stuck to 0%…..help pls..
haha, my mga kuya and ate’s pla ako na pnoy d2. btw, anu po gender and age nyu? no shinee widget for this? can u send me the wallpaper u had on display ..
then mind telling me the cf that the pic they are in?? i am using window xp. so is it possible for me to use the “hahaha widget”? and then i found the installed version! my saviour! so good .Thx very much. Normally I don’t read post on blogs, however I would like to say that this write-up very forced me to check out and do it! Your writing taste has been surprised me. Thanks, quite nice article. 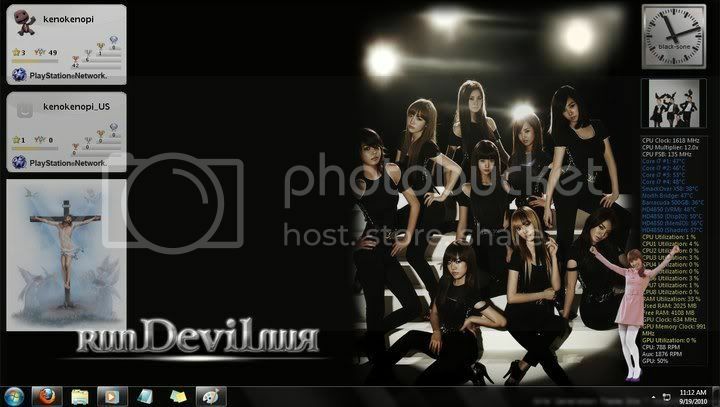 When its uploaded on the desktop, only the backround will be in Korean right? Not the whole computer…? I don’t actually understand what you’re trying to point. I’m straight and I love these girls, so? what are you downloading? download the one from mediafire/4shared. eer the reupload cant extract…. wow this is great….it’s working perfectly fine but how can i change the language??? I’ve been exploring for a bit for any high quality articles or weblog posts on this kind of area . Exploring in Yahoo I eventually stumbled upon this web site. Reading this information So i am glad to exhibit that I have a very excellent uncanny feeling I discovered exactly what I needed. I such a lot definitely will make sure to don?t forget this site and provides it a look on a relentless basis. yet effective. A lot of times it’s very difficult to get that “perfect balance” between superb usability and visual appeal. I must say you have done a excellent job with this. Additionally, the blog loads super quick for me on Chrome. Outstanding Blog! you may be a great author. I will be sure to bookmark your blog and will often come back later on.